It is widely believed that the cuberdon was first made in the 19th century by a clergyman living in near Bruges, in Flanders. The story goes that this is how it got its “bonnet de cure” (priest’s hat) nickname. Its Flemish origins would appear to be substantiated by the fact that in Dutch ‘kuper’ means ‘cone’. However, that would be too simple. Unlike their Walloon neighbours, the Flemish do not call the sweet a ‘cuberdon’ but a ‘neuzeke’, which means ‘small nose’. To add to the confusion, a work published by Duculot in 2000 attributed its origin to the French language, with etymologists explaining it as a mutation of “cul (de) bourdon”, which translates as “bee’s bottom” and is also a rather vulgar way of referring to a woman’s shapely bottom. The foodies in Wallonia and Flanders may dispute the origins of the word ‘cuberdon’, but they all agree it is has a unique, inimitable flavour. A genuine cuberdon has a delicate crusted outer layer that gently bursts in the mouth to release an elegant sweet syrup. To conserve its unique texture and flavour, a cuberdon must be enjoyed within eight weeks of being made. It is the natural raspberry flavouring in the traditional cuberdon which gives it its pretty crimson colour. Another of the vital ingredients is the famous gum Arabic which is collected from the sap of acacia trees, mainly in Saharan Africa. World War II nearly consigned the cuberdon to history, due to a shortage of gum Arabic. However, as soon as it became available again in 1946, confectioners who remembered the recipe relaunched their cuberdon production. Today, the cuberdon recipe is regarded as THE best-kept secret in Belgium, and is known to only a very few artisan producers. Léopold was born on 16th December 1790 in Cobourg (now Bavaria) and died on 10th December 1865 in Laeken Palace, Belgium. He was the youngest son of the sovereign Duke François of Saxony-Cobourg-Saalfeld and his second wife, Countess Augusta Reuss. In 1796 his sister Julienne married Duke Constantin, who was the brother and potential heir to the Tsar. 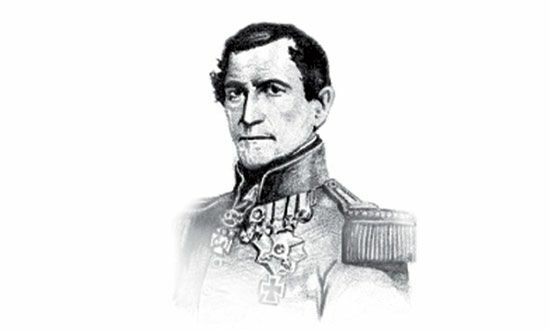 Barely five years old, the young Léopold was appointed Colonel of Russia’s imperial Izmaylovsky Regiment and became General at the early age of 12. After refusing the rank of Sergeant Major offered to him by French Emperor Napoleon I, he joined his brother-in-law Alexander I in Russia. As Colonel of a Russian cavalry regiment, he fought in many battles, which earned him the title of Major General of the Russian army. When peace was finally declared and sealed by the Congress of Vienna, Léopold married the heir to the throne of Great Britain and Ireland, Charlotte-Augusta, the Princess of Wales, with whom he was deeply in love. The wedding took place on 2nd May 1816. Unfortunately destiny quickly dealt a cruel blow to the young couple – their first child died at birth, and the princess soon after. Léopold never recovered from their deaths. He threw himself into his work and helped several members of his lineage accede to various European thrones. He proved to be a talented mediator and his mastery of foreign languages impressed his negotiation partners. In 1830, he refused the crown of Greece, considering the country to be too unstable and too far from the centre of Europe. In recognition of his illustrious military past, the Belgian National Congress then offered him the position of Belgian king, which he accepted on condition that the problems with the country’s borders and its debts were resolved. He was officially crowned King on 26th June 1831 and swore his oath of allegiance in Brussels on 21st July. The latter marked the independence of the Kingdom of Belgium and the date is now celebrated as Belgian National Day. To make a Léopold Cuberdon you need patience and expertise. You must also be able to master the magic recipe which leaves no room for error. The original cuberdon recipe is known only to a very few Belgian artisan producers, with each adding their own personal touch. However, only Léopold Cuberdons are made from 100% natural ingredients rigorously selected for their high quality and authenticity. It takes no fewer than seven days to produce the delicious small sweet cones. The human touch and a respect for tradition are vital at each of the six stages of production. . The cuberdon moulds are created individually and can be used only once. They are a natural wooden frame on which a thick layer of natural starch powder is deposited, which gives the cuberdon its distinctive shape. Exactly 128 cuberdons are made from each mould. The ingredients for the Léopold Cuberdons - natural gum Arabic, natural gelatine, organic sugar, natural raspberry flavouring and natural colouring – are placed in a copper cauldron which dates back to 1921. The preparation is heated and vigorously mixed for several hours to obtain a thick, smooth syrup. The syrup thus obtained is then manually poured into a large funnel, which distributes the preparation into 16 spouts. A conveyor belt takes each mould to beneath these spouts, where they are filled with the piping hot mixture. 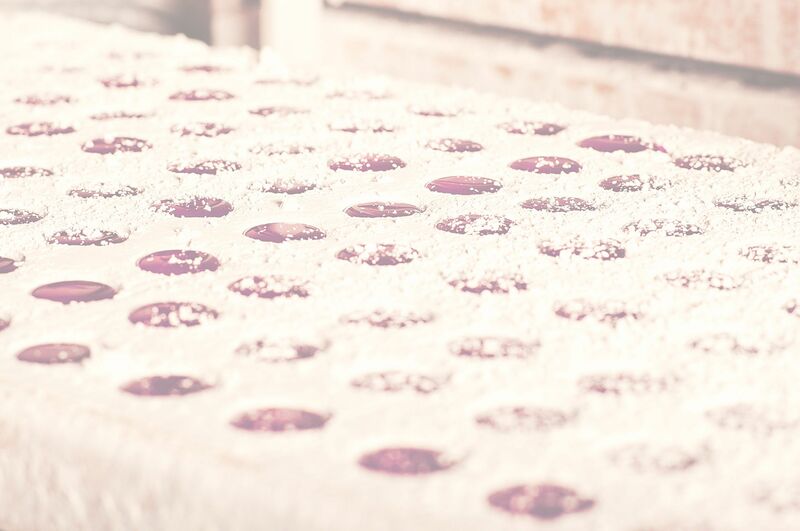 The moulds containing the Léopold Cuberdons are stored in a heated airtight chamber at 55°c for seven days. This hot drying process hardens the crust of the cuberon while keeping the centre soft. A compressed air gun is then used to remove the starch residues from the cuberons in the basket, then each one is dusted with a brush to ensure a perfect finish.